For many, even the most experienced travelers, going on an African Safari is an experience like no other. Of course, that can be said for many reasons, but this time it’s going to be about the price. 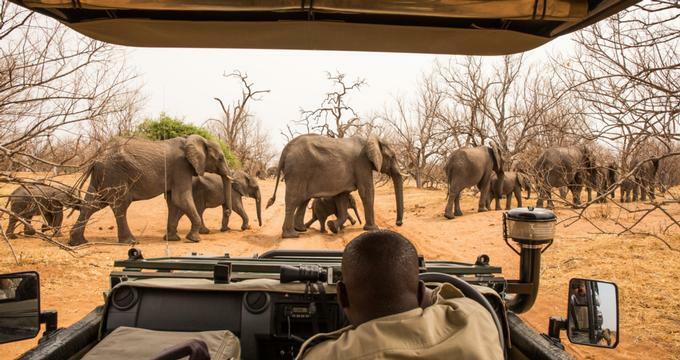 Depending on how you go about it, an African Safari can set you back as much as $3,000 per person, per night! There are, however, more budget friendly alternatives that are easy to get if you know how. And no, that doesn’t mean that you’ll have to rough it out there - it’s still going to be a vacation, just one that fits your budget. When people think of an African Safari, they probably think of what they see in the travel brochures - the ones where people stay on private reserves. These, of course, are very expensive mainly because they are very luxurious. You don’t need to stay in places like those to enjoy a safari, though. You can plan your stay with a national park such as that of Etosha (Namibia) or Kruger (South Africa). These places are not only open to the public but they have nearby lodges and camps that don’t cost so much. Note: Access to the parks by foreigners is $25 pax. You can go to places like the Preturiuskup and Satara Rest Camp which gives you not only affordable luxury lodges but close access to the wildlife as well. These lodges are run by the South African National Parks and their accommodations can vary greatly depending on the location. You’ve got your huts, cottages, tents, bungalows, and even traditional camping sites. Some of the accommodations can go as low as $20 per night. The accommodations are pretty good so long as you don’t set your expectations straight. These aren’t your typical five star hotels, so don’t expect hairdryers or any complimentary stuff like meals or anything. You’re probably going to be sharing a common bathroom or kitchen with multiple guests as well. Of course, this whole “roughing it” kind of vacation has its own charm, especially to the kind who likes African Safaris. If you’re more interested in sightseeing, the accommodations shouldn’t be a problem. But if you do want something a bit more comfortable, there are accommodations that are just a bit farther from these parks. They tend to offer more comforts than the ones mentioned before, but you will lose the proximity and you might have to drive to the points of interests instead of just walking up to them. On the other hand, they can be closer to other places you might want to visit, such as the boutiques and other shops. These kinds of accommodations are likely to have air conditioning as well as Wi-Fi. The single rooms are about $175 per night while the family rooms cost up to $350 per night. If you’re interested, some volunteer programs like the Big Five Nature Project offer unique volunteer experience for no more than $1,760, which covers food, accommodation, and being able to live in a bush camp. It’s an entirely different experience as well, which might be something you’d look for if you’ve been to an African Safari before. Of course, you’ll have to pitch in as well, but that’s part of the program. It’s not always the ideal thing to do for all African Safaris, but if you’re at the right place, the national park would be great for renting out a safari vehicle and going around the place. You don’t need to pay for an expensive guide - you can pretty much drive yourself around. This gives you the opportunity to pace yourself, so that you can stay in one place for as long as you like and take on routes that most tour guides don’t offer. But driving yourself around a safari is not all that it seems. Those who are new might not be able to spot wildlife easy, which can be dangerous. Also, the fact that you’re driving means you might not be able to enjoy the scenery as much. The whole driving experience could also be ruined by the sheer number of other visitors who decided to rent their own vehicle. But if you really know your way around, then you’ll definitely discover something interesting around the park. With that, inexperienced drivers may not want to go at it alone the first time. The same goes for anyone who is working with a limited amount of time. If so, getting a guide to drive you around will be a much better idea. It will only set you back around $110 per person, and you’ll be sharing your ride with other people, which may or may not be a good thing. Plus, a good guide will most likely fill you in on a lot of educational information about the wildlife, local culture, and more. Also, guides will also take steps to ensure your safety. If money isn’t a cost for you, then you can opt for a more luxurious experience. For one thing, you’ll get the benefits of staying at a private resort or reserve that’s within the national park. These reserves will restrict the number of people and cars that you’ll be exposed to, allowing you to enjoy the wildlife and surroundings as you see fit. This also means you won’t have to compete with others for the view too much. High-end lodges also tend to have their own SUVs, which you’re going to share with six or less people, which is a lot better compared to the 11 people you’d share with on a rental. If you want to get your own private vehicle, you can probably do so for as low as $1,000. This will give you as much freedom to roam as you want without being dragged around by a group. Booking a stay at a luxury safari accommodation will be expensive. This means having to shell out as much as $3,000 per night. But these will give you access to all the amenities of the resort, such as the pools, spas, and more. In the end, you really don’t have to spend too much if you want to enjoy a good African Safari. But if you can spare the extra cash, why not?